- Inter have won seven of their last eight games in Serie A against Udinese (L1), as many as they managed in the previous 17 encounters. 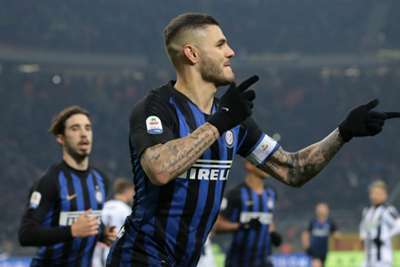 - No player has scored more penalties than Mauro Icardi in the Serie A in 2018 (five). - Udinese haven't attempted a single shot during the first half in a Serie A match for their first time since December 2008 against Atalanta. - Udinese have conceded all their last 11 goals inside the box (including three penalties).